Courtesy of Integrated Geoplanning Sdn. Bhd. a planning and Geographical Information System services company resided in Kuala Lumpur, Malaysia. But the ‘value-add’ to our clients rests in our professional services, support and training. The human element – analysis, advice, expertise – is what brings to life the capabilities of our cutting-edge GIS technology. Our experience, ideas and ingenuity sets us apart. Our mobile applications allow you to view, collect, analyze, and report data and geographic information while in the field. Share your data in real-time using iOS and Android powered smart phones and tablets. GPS enabled mobile applications improve data accuracy and efficiency leading to more agile decision making. We offer a variety of GIS training courses at Integrated GeoPlanning ranging from beginner level through to advanced. Web Mapping Development bring your data to life. Your users will be able to visualize, interpret, and understand your geographically referenced data in ways that will allow them to discover trends and relationships that lead to solutions to some of the world’s more complex problems. CADian, alternative CAD, leads you to a fantastic design world! CADian, whose standard format is the international standard, DWG, has a excellent compatibility from AutoCAD R12 to R2006. And also, upto 2007-2014/latest. MapInfo Professional is a desktop Geographic Information System (GIS) software product produced by Pitney Bowes Software (formerly MapInfo Corporation) and used for mapping and location analytics. AIMS is web-based GIS mapping software that helps planning and engineering professionals publish and share CAD, GIS maps, and asset information quickly and cost-effectively on the web. Integrated GeoPlanning is the official Garmin Reseller and Services. The GIS Services supports all municipal departments by providing geographic data, data management, products and services. 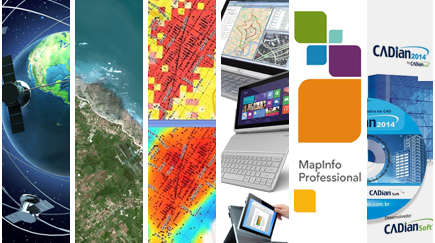 MapInfo Professional, Autodesk Infrastructure Map Server, Garmin GPS, Tablet PC GPS, CADian Professional. Systems development is the process of defining, designing, testing, and implementing a new software application or program. Welcome to Integrated GeoPlanning Sdn. Bhd. (IGP)is a multi-disciplinary, high technology company concentrating in the field of Planning and Earth Science, GIS, GPS, Integrated Solution, Information Technologies and related High Resolution Imagery services. Company Overview Integrated GeoPlanning Sdn. Bhd. (IGP) are diversified, multidisciplinary organization with high technology products and services for Planning, Geographic Information System, and Mapping industries with specialization in the Planning Consultant and GIS based application system. Copyright © Integrated GeoPlanning Sdn. Bhd.